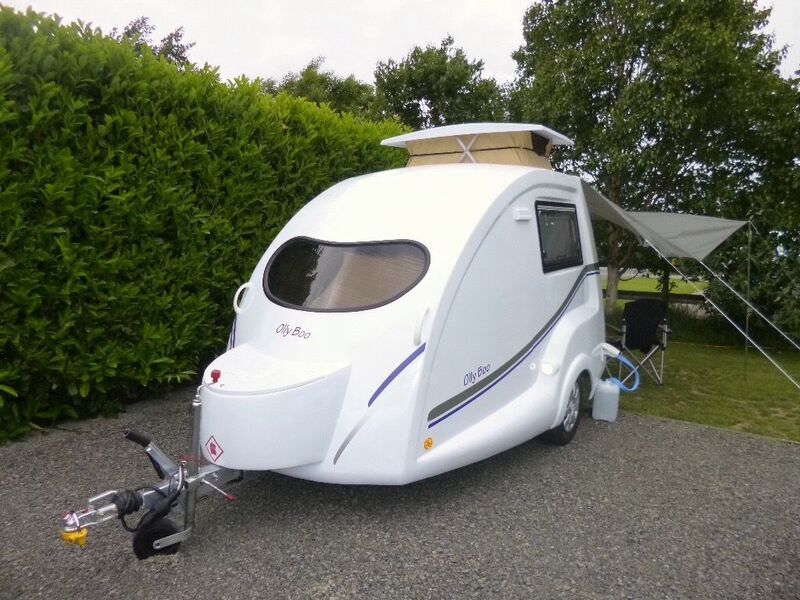 The neighbours, Phil and Debbie, who bought our previous caravan from us, have just replaced the Freedom Microlite with a shiny new Go-Pod. Just click on these decent sized photos above and see the surprising length of those sofas and the apparent space at the kitchen end with the pop top elevated. Then look at the pictures below to judge just how compact these little, lightweights are. The modern ,streamlined, appearance is backed up by the fibreglass build. No damp issues in these babies! They can be towed behind many small cars. 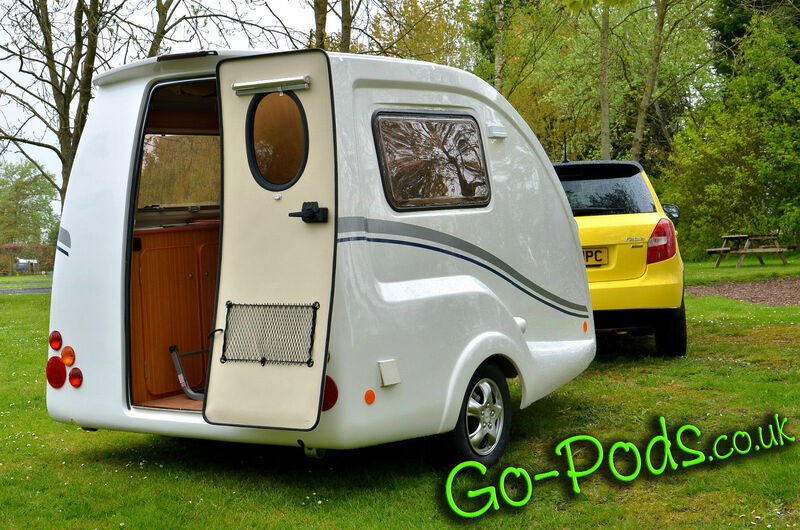 I think that they are an ideal caravan to haul behind a campervan. I just love ’em ! Length – 4.32m including 0.98m hitch & bar. Height – 2.02m roof down. Raising pop top adds 30cm. * Allow 210cm garage height clearance. Braking – AL-KO Braking System. Ground Cl. – 180cm NB: Lowest point is the removable spare wheel. Viewings – By appointment only – Click here. Just had three nights in London for Thanksgiving. Fabulous weekend and met some very interesting people, including the lovely daughter of a very famous TV actress and writer and a lady who had been involved on the fringes of a previous industry in which I worked. ‘Tis a small world ! Got to see the family and thoroughly enjoyed ourselves. The trip down took in the M6 Toll, the M40 and then the South Circular via Earls Court. Dry, clear weather and no roadwoks allowed for 70mph cruising for virtually the entire run. 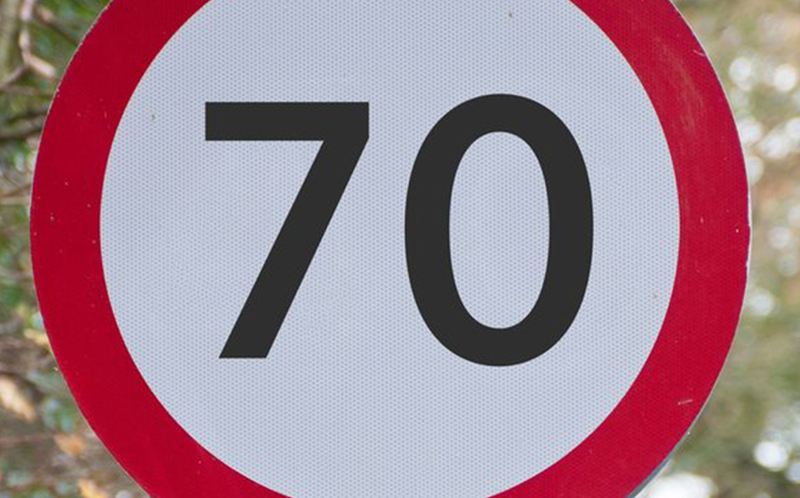 Seventy miles an hour means that each second you are covering about 31 metres or nearly 103 feet in old “money”. That’s about one and a quarter times the length of a Tennis Court every second. Fiddling with a CD., bottle of water or , dare I say it, your phone (!!!!!!) means that you are missing huge tracts of awareness of what is immediately in front of your missile. I mention this because at one point I did brush the noisy lane markings to my left and really alarmed my wife. Just a momentary lapse of focus. It just shows what a dangerous place the hard shoulder is. To confirm some recent questions about my reported (up to….) 60 mpg which we have achieved and can still achieve, we did only average 43 mpg overall on the way down. The campervan was packed with Christmas and family gifts, bottles of booze and even 5 litres of windscreen wash. Luggage added even more weight and so we were running fully laden, so not too bad, all things considered. The weekend was packed with Family events but my son and I did enjoy a quiet pint amongst the locals at The Bricklayers Arms in Beckenham. Literally a pint for me. St Austells brewery “Proper Job”. It was too.Hoppy with a citrus hint. LOL. 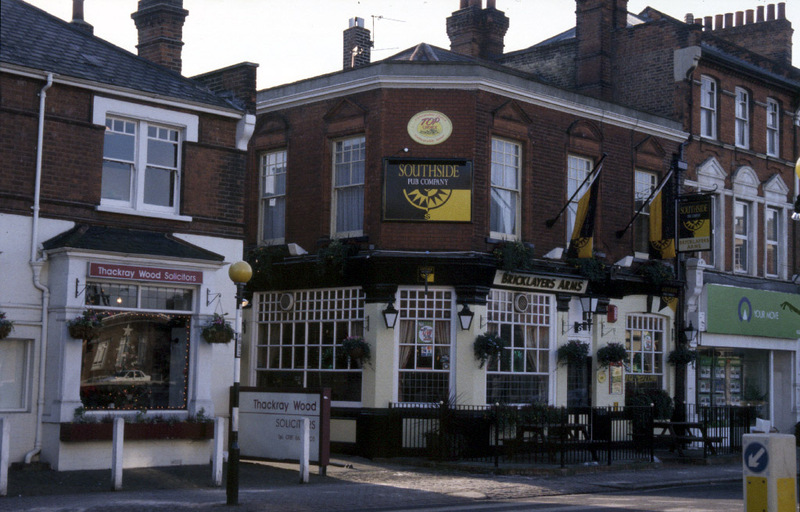 A lovely pint in friendly surroundings. Open fires, dog friendly and recommended if you like “real” pubs and not a “Disney” designed , plastic replica. The First (?) High Top Nissan NV200 and it’s from Scotland! Martin has once again sent in some breaking news! 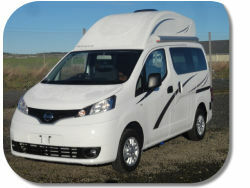 East Neuk Campervans have come up with new models including a High Top NV200. It’s called the CUB. Apologies for the small images above and below, it’s so new, that’s all I can provide. Layout is similar to our own Nevada and VW owners would find it pretty familiar. The big advantage of a High Top is in bad weather. Even the best pop top can be susceptible to prolonged rain and wind. Noise from flapping canvas can be an issue too in blustery conditions. I believe that East Neuk Campervans have produced the very first High Top NV200, unless you know differently? 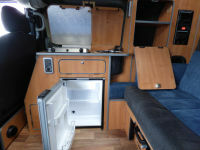 I have seen their models many times and they do seem to understand smaller packages, SWB , convenient to use campervans. 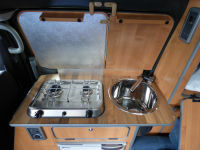 Their larger motorhomes are well worth a look too if you are in the market for a motorhome. There is a pop top version of the CUB and the website appears to show that version but interiors will be very similar, it seems. Perhaps with the High Top you could work in some extra higher level storage solutions? 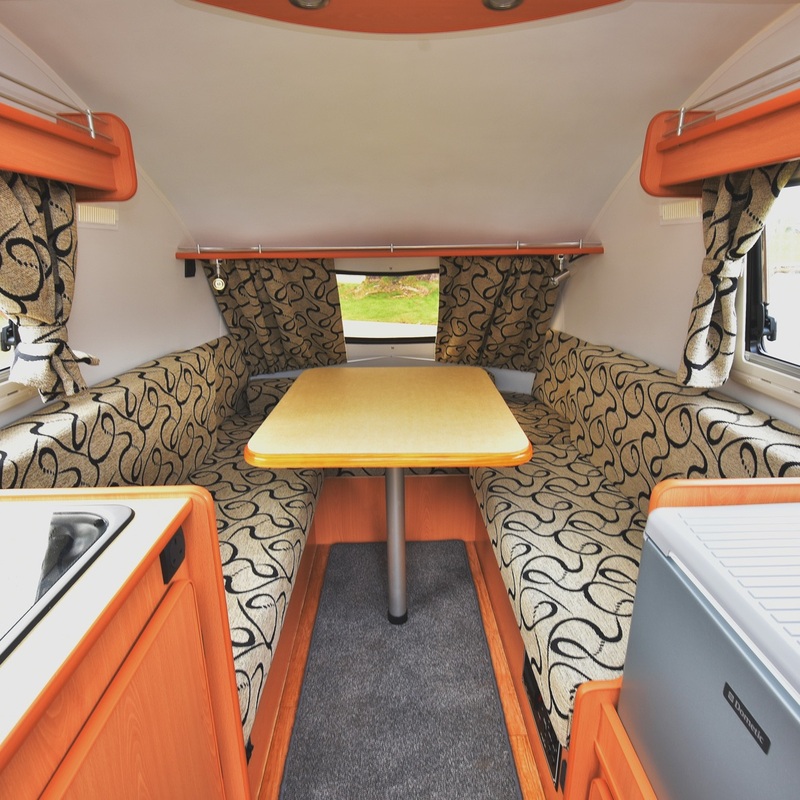 I have seen eye level cupboards on an NV200 conversion we viewed prior to buying our own. That was a fixed roof version and was more than acceptable but at the time we could buy a brand new base vehicle and get it converted to a higher standard for a little more money. The specification is pretty good and options are available to enhance things further. It comes in just below £30k but that does seem to be the going rate for a ready converted NV200 campervan. 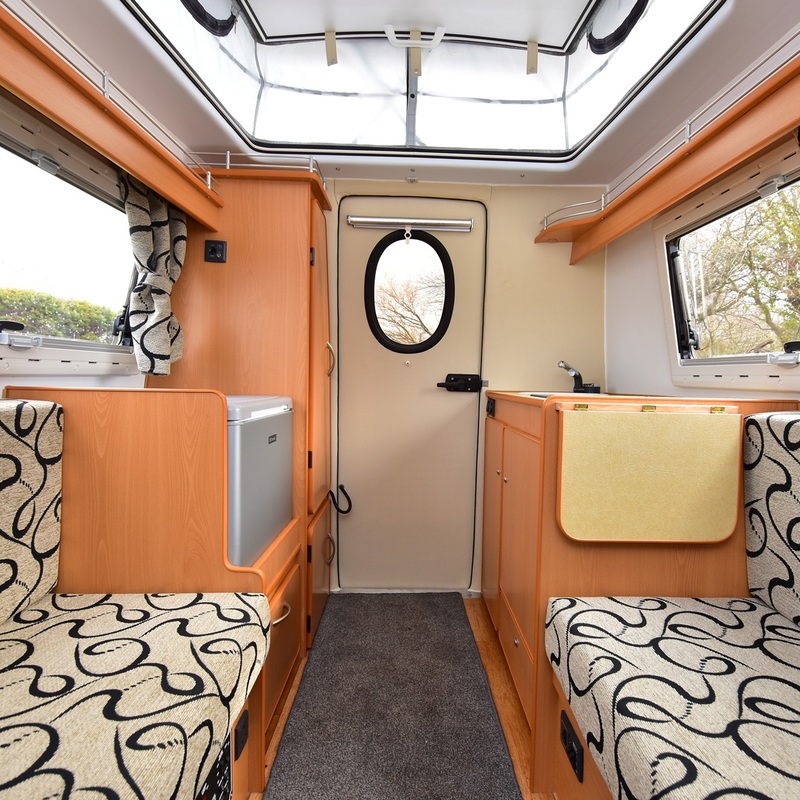 I would definitely be looking at East Neuk versions if I was in the market for a compact , all weather, all year round campervan. The only word of caution would be how it behaves in side winds on the motorway. Our Pop top is a little nervous in these conditions and that higher profile will not make it better. But, with a relatively narrow , high stance it’s not unexpected and if you drive accordingly it should not be a huge issue. Well Done ! East Neuk! Oh dear ! Before updating this post I had been spelling Neuk incorrectly and it’s only 4 letters to get into the correct order………… stupid boy Pike !!!!!! Apologies to the people of Fife. It’s a very wet, dull, afternoon at the moment and we shall be unable to properly use the campervan for a week or so. Instead I am looking back in time. When the children were still at school, we lived close enough for my wife to walk there with them. Fine in good weather but when it got like it is today, it was a case of getting cold and drenched. 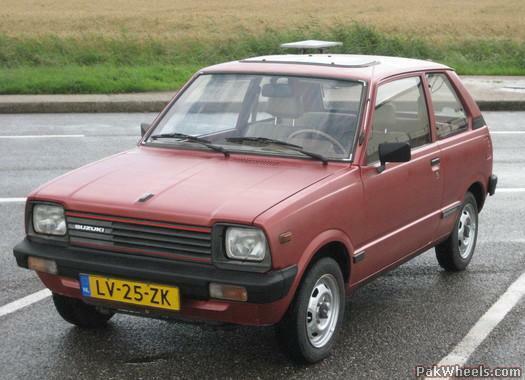 I did the honourable thing and bought a little Suzuki Alto , a bit like the one shown above. 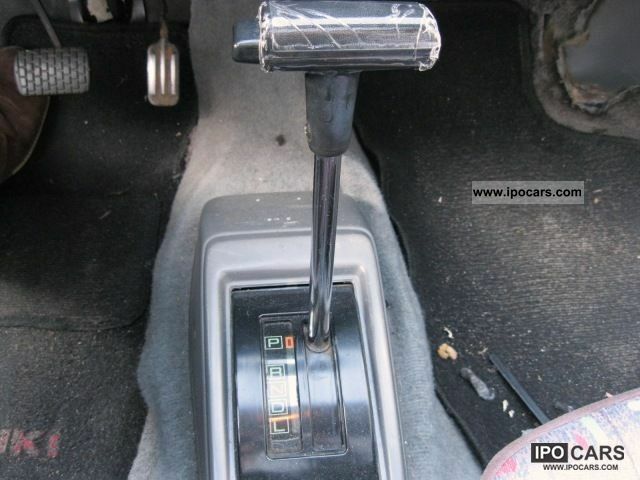 It was right hand drive, in lovely condition and came with an automatic gearbox. 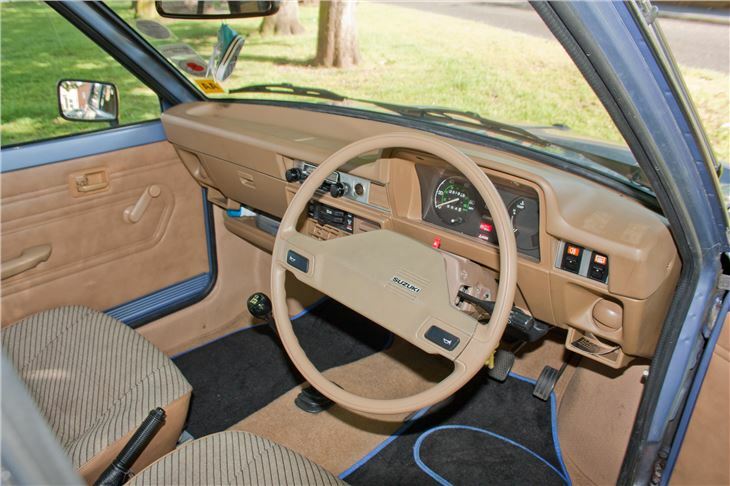 The interior was an “interesting” shade of beige. The steering wheel rim was very slender and all the controls were extremely light. My wife did not enjoy driving. Early driving experiences of wild, raucous and bucket-seated , rally tools, belonging to me, had not helped. Stopping in the middle of my parents’ shrubbery in their front garden had not encouraged her either. The car came at a very low price and the engine sounded a bit tinny. This quickly turned out to be a shot water pump which I changed at a cost of £13.00 if I remember correctly. We never had any further trouble with it. 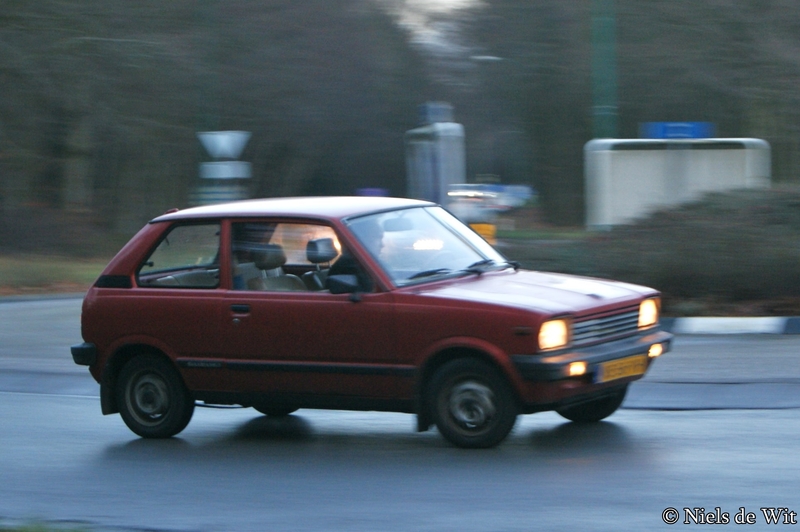 That little car carried the kids to school on wet days and even impressed my mother in law on the shopping run to Tesco. Once my wife had grown used to the metallic brown (yes !!!!!) micro-car, I began to think about taking it with us behind the Talbot Excalibur motorhome we had at the time. That’s the Talbot, above right, at Newborough Warren on Anglesey. The Bedford CF belonged to ma and pa Dinkum. 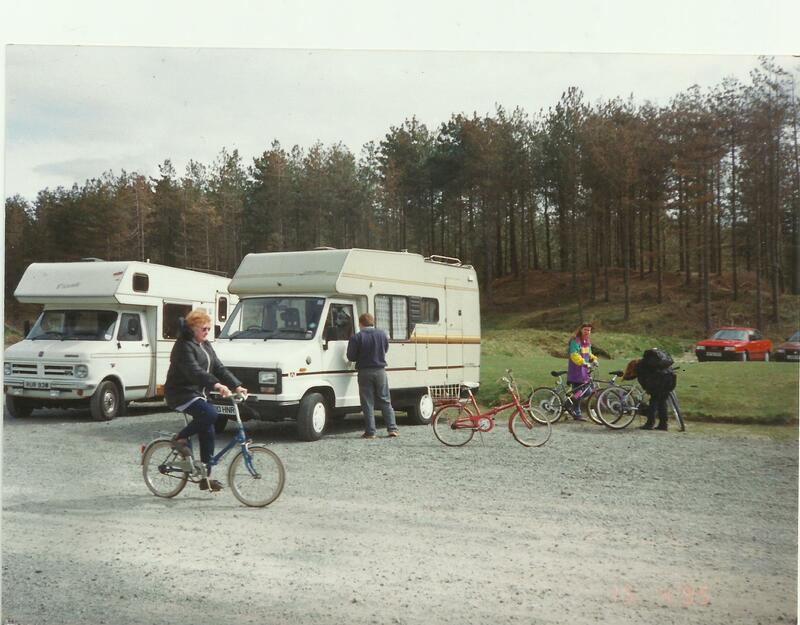 As you can see we always took bikes with us on our adventures. The first thing to do was sort out how to carry four bikes on the Talbot and still be able to tow. At the time, Halfords sold individual bike racks which had two swivelling , square section tube “rails”, a seat cup made of heavy duty plastic and handlebar clamps. All adjustable, these were perfect to hang the bikes off the vertical rear wall of the coachbuilt motorhome. I beefed up the mounting points with tasteful strips of hardwood glued inside the rear bunk bed frames. Long coachbolts secured the bike racks and overall it looked the part. I thought it had the look of those Tour de France service “barges” but then I can be a little fanciful….. shall we say. 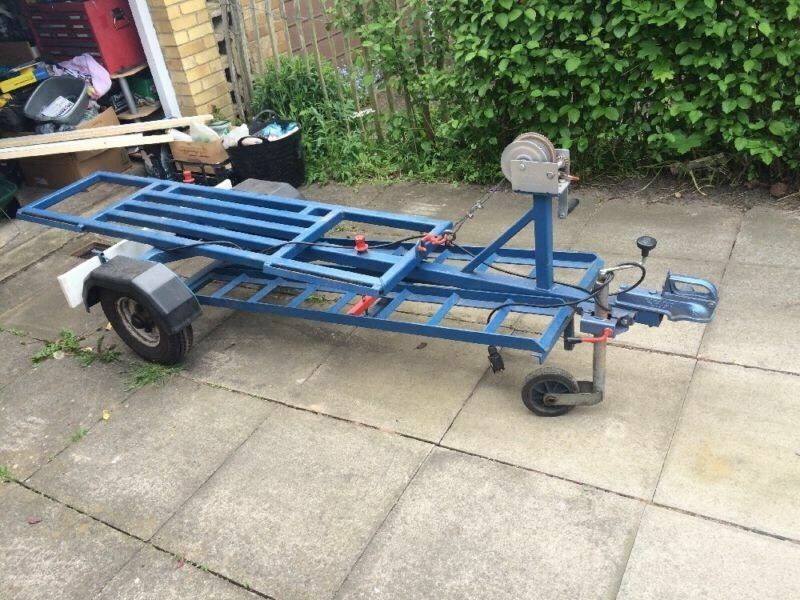 The towing dolly was exactly like this one. The wheel carrier articulates and when locked using ratchet straps, the ramps allowed the car to be driven up onto the frame. The front wheels drop into the frame. The ramps are stowed back in their slots. The ratchet straps then go around the wheels, securing the car to the frame. These devices were unbraked but with a gross towed weight of less than 750kg., I think it was, you were in business. Intended for car recovery, these devices were sold back then as car tender towing kits for motorhomes. The law has changed now so do not follow this path before checking legalities. The only issue was when reversing with dolly attached. I never got it right. It all worked perfectly. We could leave the motorhome set up for day or night “running”, the huge driveaway awning attached and go off in the Suzuki if it was raining or we were suffering from cyclists’ numb bum. Back then, this caused quite a stir on campsites It was relatively unusual at that time and we got a lot of comments from fellow campers. Great fun and we were making family memories as we went on. Epilogue: My wife had a slight collision in the Suzuki. Somone cut into the junction where she was waiting to pull out and swiped laterally across the front bumper doing little damage but righting off all confidence. We sold the car to a young chap who worked for us at the time. Within days he had written it off, understeering off a suburban bend and ripping the suspension out of the front of the car. Later the Excalbur developed a terminal water leak in the crazily positioned joint in the centre of the aluminium roof sheets. Who designs such things? 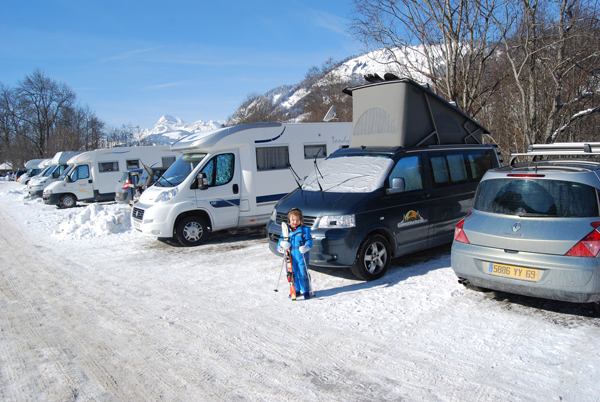 Some time ago, I asked if anyone was skiing from their motorhome or campervan. Here are some hardy souls in Praz sur Arly, Mont Blanc, France, doing just that. There is even a pop top in use on that VW!!!! 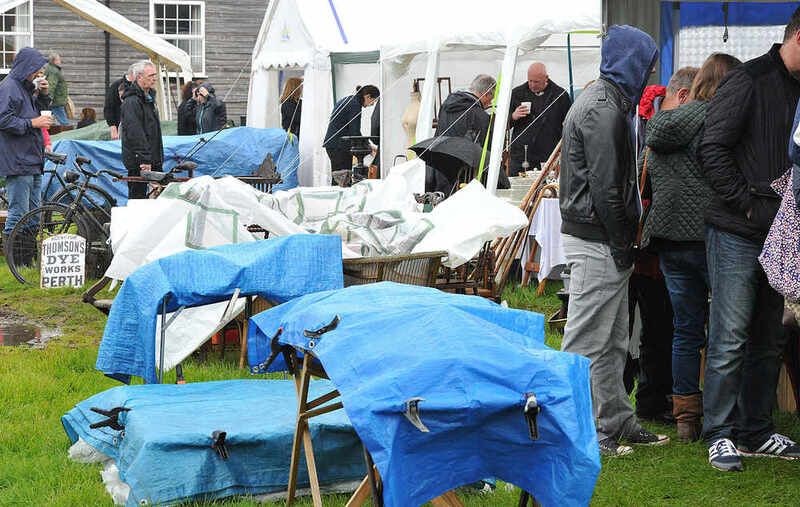 Well, today we did not get snow but we did get hit with our first very cold and very wet visit of the year at Oswestry Showground. This pic was not taken today but it does show the showground in the damp. Today was far worse. The grass was very muddy indeed and the rain so heavy it was not fit to photograph. We did a loop around, visiting the stalls outside which had visible wares to sell, then took some respite from the conditions in the two halls in use. When we got back to the campervan, we were chilled to the bone and our jackets soaking wet. We stripped off the wet clothes, the hats being worst hit and flicked on the Propex blown air heating. By the time we had completed the very short drive to Cambrian Antiques via Morrisons, in Oswestry town, everything was pretty much dry and the entire habitation space cosy warm. I was so glad that I recently topped up the LPG at the autogas pump. Blown air gas heating is NOT a cheap option to have fitted, but it so cheap to refill and very convenient to achieve a top up whilst on the road.It is also extremely effective, even with the pop top raised in cold weather. We can vouch for this from previous cold weather trips to the Lake District.You don’t have to worry about burning your driving diesel for overnight heating and is much cheaper to use than diesel too. 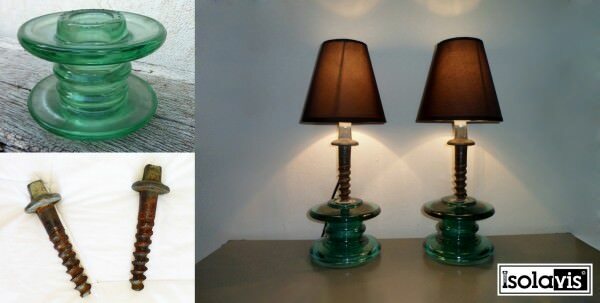 We bought an old glass insulator, from high tension electricity cables, like the one shown above at top left. It was perfect to take some very tall Church candles for our new fireplace. The other ” highlight” of the day involved following s handful of very over-cautious , elderly drivers along the Shropshire “A” roads. Two of these, drove at about 38mph in the 60mph zones and then proceeded at unabated speed through the 30mph limits!Is there a club for these folk? Perhaps somewhere that they could all congregate out of the way of conventionally safe drivers. The wife just said that I was grumpy…..
We also used vast quantities of wash wipe fluid following behind an entertaining , rear-steering, triple axle trailer, articulated HGV which was well driven, delivering bulk animal feed. This thing tracked beautifully as if it had a computer in it’s tail. It stayed THAT close to the safest line through all the tight bends! Amazing. Plus the driver kept off the double white lines, unlike aforementioned and much slower drivers above. Following on from yesterday’s supermoon, I had the moon on my mind. Then today’s murky and wet weather got me yearning for those dry, sunny trips we usually made in France each year. The way my mind works, this is what I remembered. 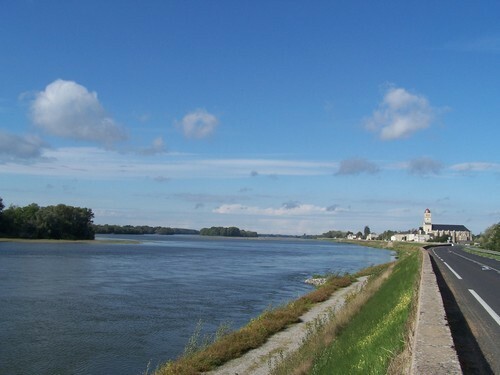 We were driving ,leisurely, along the levee following the river Loire from Angers towards Saumur. Our trusty 2.0 litre petrol Talbot Excalibur was doing a sterling job in the very hot weather. At one of the bridges along the route, I waved a charming lady out, in front of us. She was riding a classic old moped, probably a Motobecane or Peugeot. She was wearing a summer frock which was billowing in the wind, as she obviously returned home, loaded down with food, perhaps from the local market at Saint-Clement-des Levees. her only consession to safety? Sunglasses, as I recall. The levee, the D952, had solid river-proof (?) walls on both sides and there was little space to pass on this scenic route. Most of the road was pretty straight and her speed built up and up and I settled in to follow at a safe distance. These mopeds are designed to top out at about 30 mph or so. 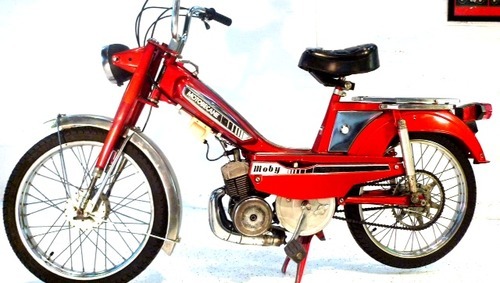 Most kids in France, back then, illegally,tuned them with big bore engine kits, taking them out from 50cc to 80cc capacity. 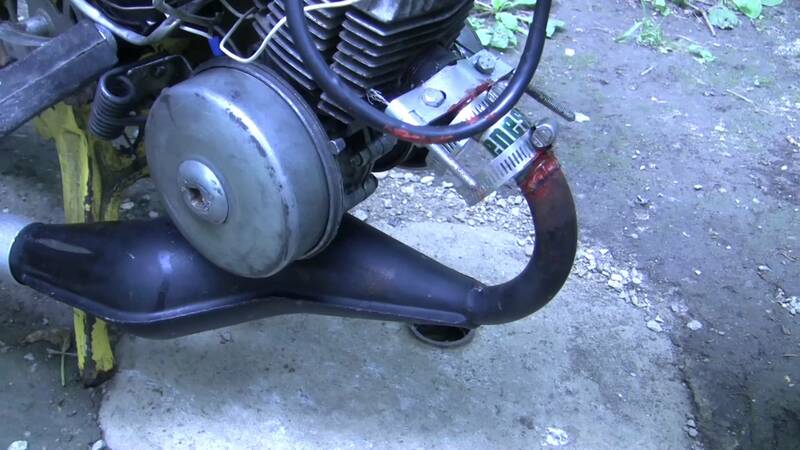 Hers certainly also had a performance enhancing expansion chamber and it sounded mor like a racing kart than a moped. 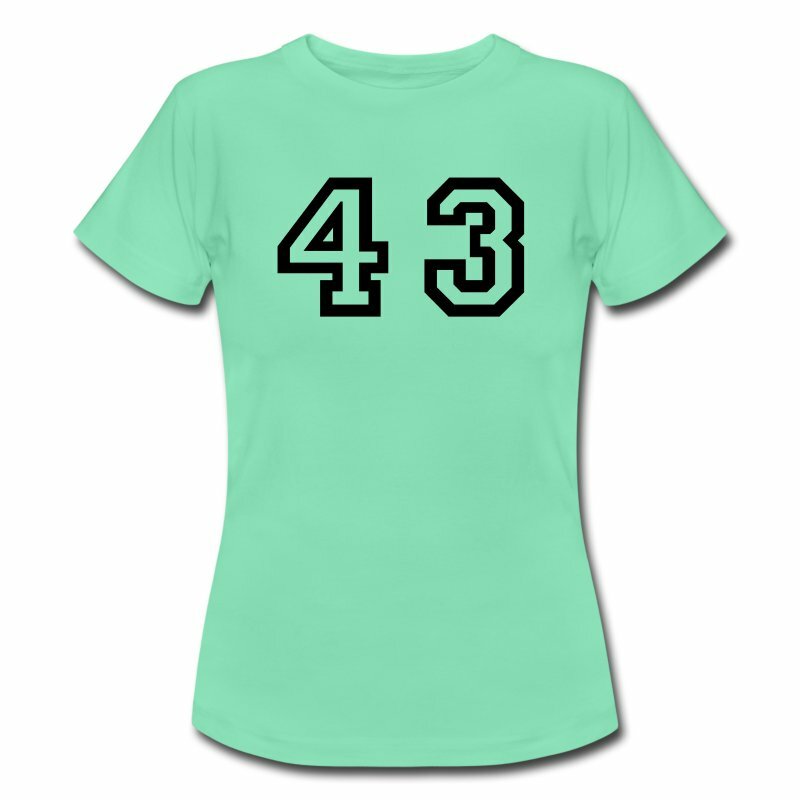 The speed crept up until she was skimming the hot tarmac at an indicated 55 mph. A very comfortable , “French” scenic route touring speed for us in our coachbuilt family motorhome. I gave up all thoughts of overtaking. I pointed out the lady to our kids who were straining against their seat belts, behind me with little necks outtretched like meercats, to witness this Queen of Speed. Then her skirt blew out from twixt saddle and bottom as she revealed her huge cotton bloomers, bright in the sunshine. The kids were howling with laughter ( a common occurence for us ) and enjoyed the spectacle for several miles. I felt a bit like Benny Hill in that scene from The Italian Job ! 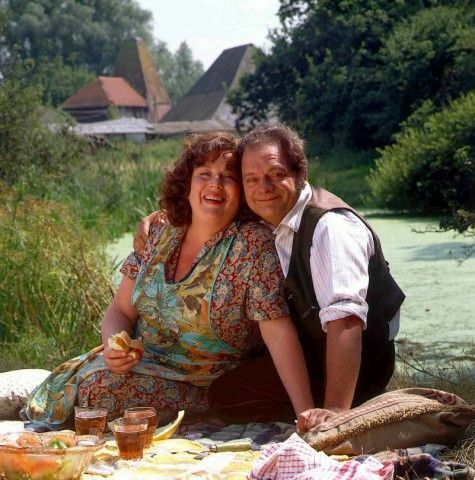 When she turned off the road onto a little ramped exit to some farmland, she looked rather like the actress Pam Ferris. I would loved to have spoken to her. Did she tune that moped herself? I bet she could cook a good French meal. She looked very healthy and extremely well fed! Certainly somewhat larger than Barry Sheen but almost as good a rider. Ah ! France. I can almost taste the chilled Rose D’Anjou, the baggette, cheese and tomatoes. A “relaxed” attitude to authority. Wonderful ! 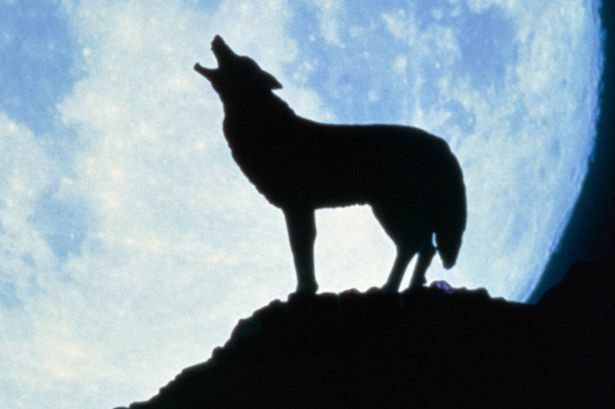 Just took a misty picture of the “supermoon” above chateau Dinkum. Must admit that I was tempted to howl at it just to chill the neighbours for a laugh. 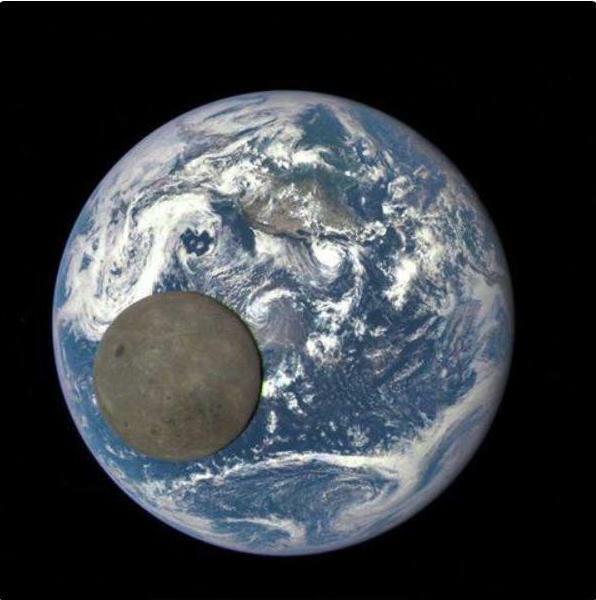 The moon circles the Earth at between approximately 222,000 to 252,000 miles.Measured centre to centre. It’s orbit being ellipical. It’s currently at it’s closest and being full moon , it appears at it’s largest. 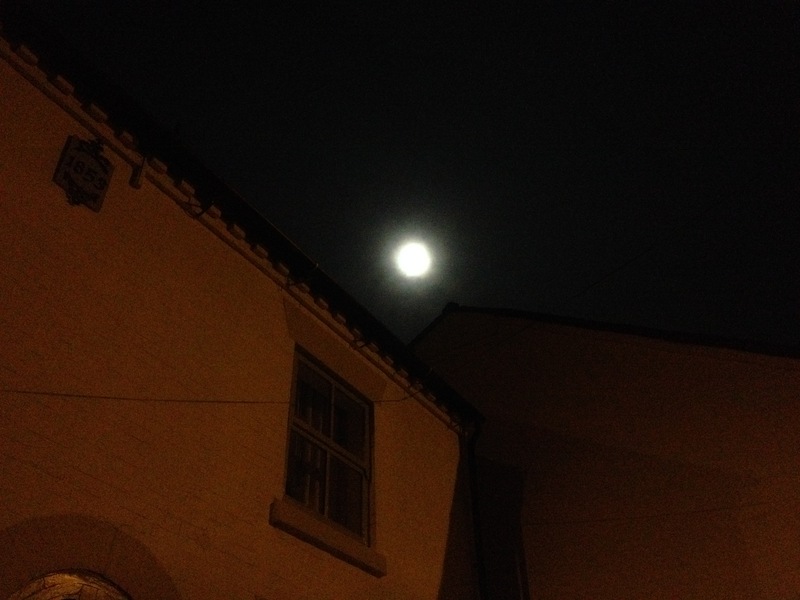 It is a full moon at “perigee” and illuminates the Earth at plus approx 30% of it’s normal brightness. If Irvin could drive to the moon, he would now be on about his sixth round trip. It makes our 42,000 miles from new look a bit petty.